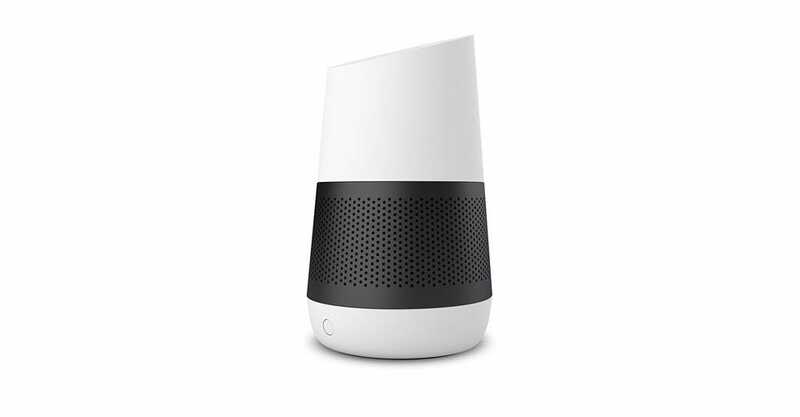 The next time you’re out by the pool and need to turn the lights on, or can’t remember if you set the thermostat before you left for vacation…or anything else you use your Google Assistant for, having a speaker that packs your Assistant is incredibly helpful. And while the current crop of Google Home speakers are great for all those things, there’s one problem: they require an external power source. If you’re always on the move and need a speaker that can keep up, though, there are some good options out there. 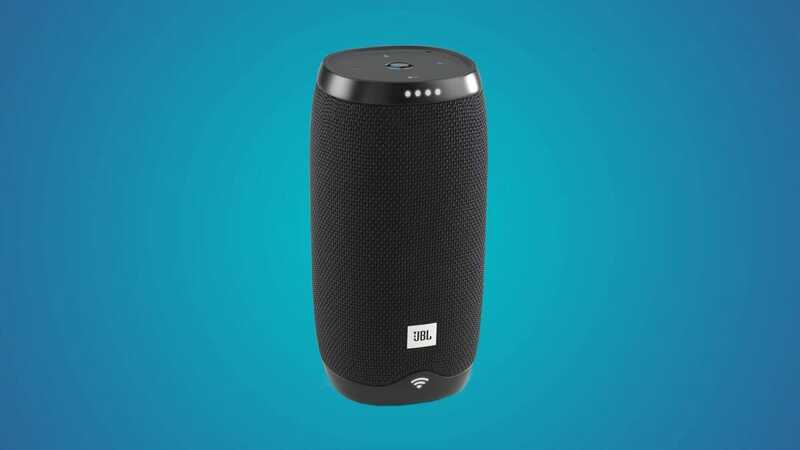 The only thing you’ll need to keep in mind when looking for a portable smart speaker is that Assistant requires Wi-Fi to function. They can’t pull data queries from your phone over Bluetooth—they’ll need to have their own connection to use any Assistant features. You’ll still be able to use them for audio playback over Bluetooth, of course, which is a big part of the appeal here. 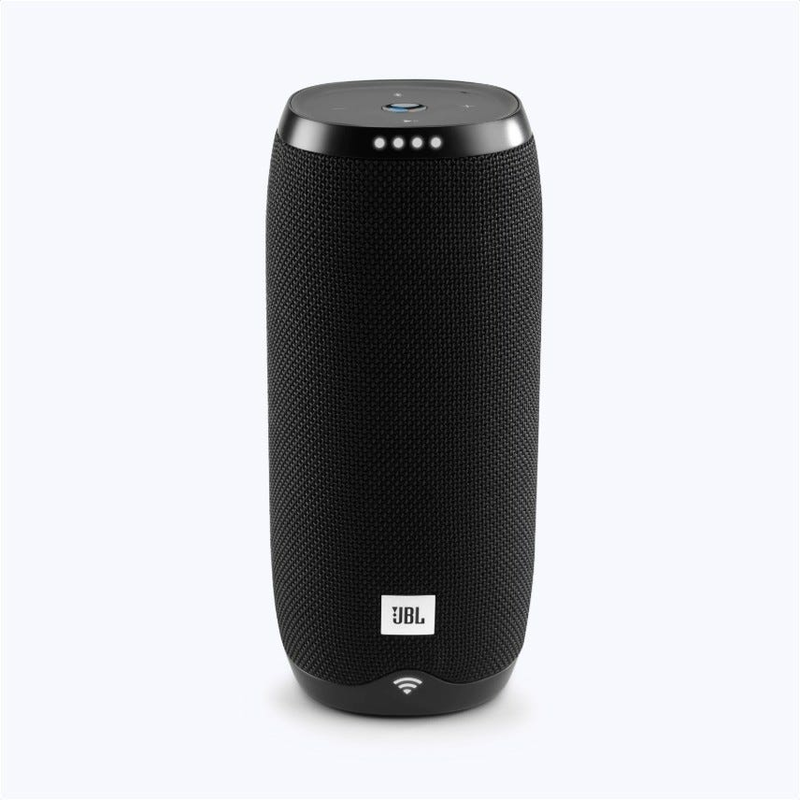 If you’re looking for the best Bluetooth speakers on the market in the first place, I’d urge you to look at JBL—it seriously makes some of the best portable speakers these ears have ever had the pleasure of hearing. Link 10 ($149): This is the smallest, most portable, and most affordable speaker in the Link family (it’s a big bigger than a Google Home). 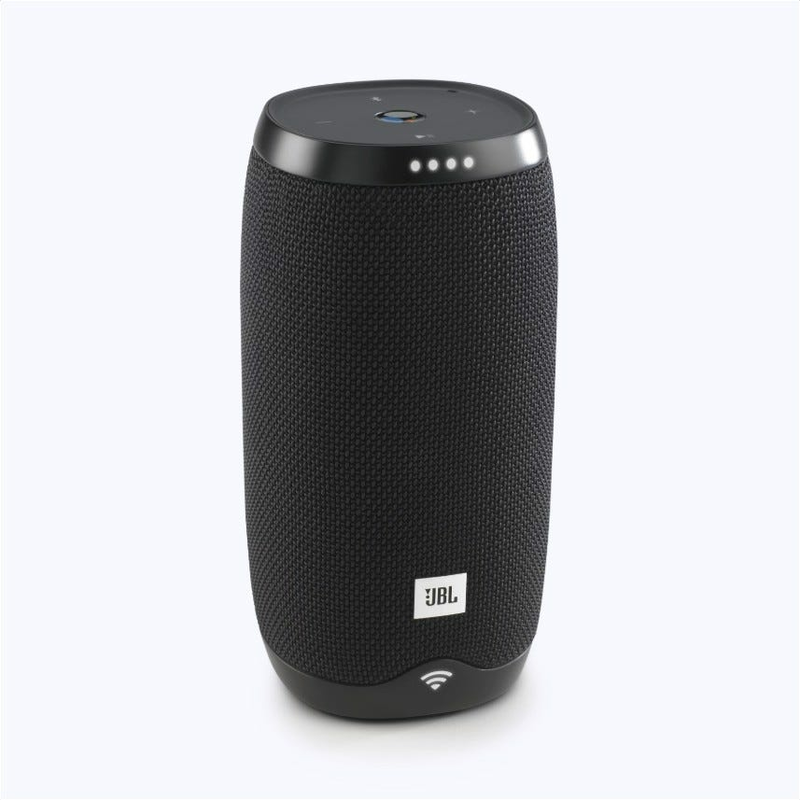 But don’t let its small size fool you—JBL can do amazing things with small packages. 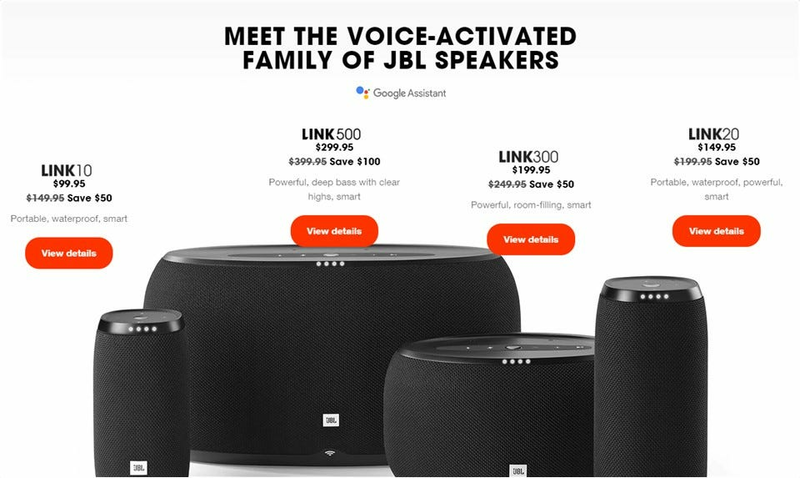 Link 20 ($199): Bigger number means bigger speaker, right? In this case, yes. The Link 20 is essentially a bigger version of the Link 10, so if you’re looking for more bass and bigger overall sound, opt for this one. Just know that you’ll be sacrificing some portability here. The other two speakers in the Link family are the Link 300 and 500. Since neither of these two has a battery, they don’t meet our qualifications of “portable”—but if you’re looking for a big Assistant speaker for you house, those are worth a look. But when it comes to both the Link 10 and 20, they have more features under the hood than just good sound and Google Assistant. Both speakers are water resistant for ultimate poolside playback, offer 24 bit/96Khz sound quality, and multi-speaker pairing for playback in multiple rooms. Both speakers also feature built-in Casting support, which is superior to Bluetooth playback in almost every way. It pulls audio from the cloud (instead of streaming over Bluetooth), so it can pull higher quality tracks for better sound. This is also what allows the speakers to have multi-room connections and playback in sync. The downside? Casting requires Wi-Fi. For the all the times when you’re away from Wi-Fi, Bluetooth is a good backup plan. These two really are the ultimate in Google Assistant speakers. Note: At the time of writing, both the Link 10 and 20 are on sale for $50 off at various retailers, so if you’re considering one of these, you should jump on it before it expires. If you’re looking for more of a Home Mini-style speaker that you can take with you, look no further than the TicHome Mini. It’s a small, ultra-portable, water resistant smart speaker. While it doesn’t feature many other bells and whistles, small size is really its claim to fame here. It’s the smallest and most portable of all the Google Assistant smart speakers. It’s the best option for anyone looking for a tiny speaker to take with them. Of course, because of that, you can’t expect it to compete with its larger competitors in the sound department. It doesn’t sound bad, per se—but it offers what you’d expect from a speaker of this size. If you’ve heard a Home Mini’s music playback (which is by no means awful for it size), then that’s pretty much what you can expect from the TicHome Mini. Google Home is a great Assistant speaker on its own, and now that it has Bluetooth connection support, there’s no reason it shouldn’t be able to go with you. The problems is that it requires an external power source. Until now, that is. A company called Ninety7 released a killer battery for Home that takes the place of the stock base and fills it with a battery. The battery will power the speaker when away from the wall and charges with the standard Home power cable, so you don’t have to remove it just to charge the battery. The only real downside here is that Home doesn’t offer any of the robust features you’d get from a speaker that was designed to be portable—it’s not waterproof, for example, and it doesn’t seem to have any protection against drops. The best case scenario here seems to be for around-the-house use, but there’s no reason you can’t take it with you. Just be careful. The upside here, of course, is the price. If you already have a Google Home, you can shell out $30 and make it portable. That’s a killer deal—you won’t find a cheaper option that lets you take Assistant with you. If you’re looking for a whole house audio solution that offers a higher degree of flexibility than you’ll find by sticking strictly to the Amazon Echo platform (and cheaper than going with an ultra premium solution) the KitSound Voice One offers a compelling package.